Projects that have be initiated by the Global Art Exchange with participating scholars and artists. 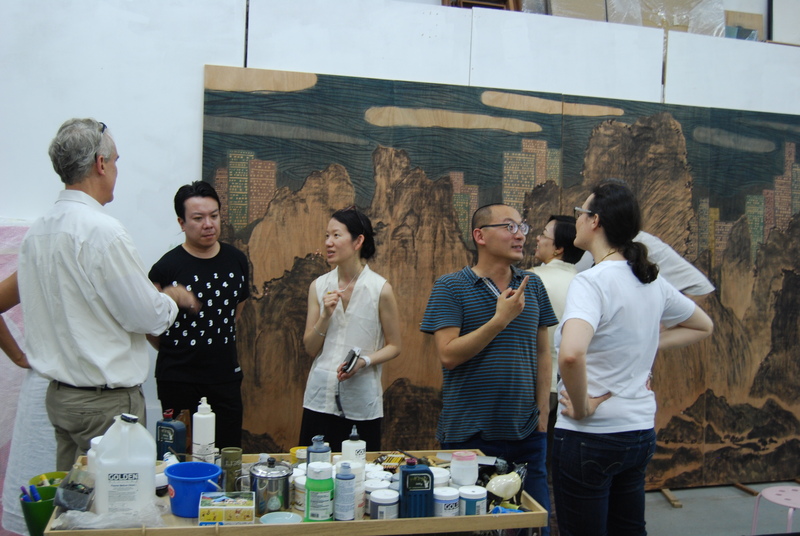 This Third Text Round Table, moderated and edited by Dean Chan, features scholars and artists, who were part of the 2013 exchange and was initiated from exchange activities. On 2 August 2013, Oscar Ho, Frank Vigneron, Lam Tung-pang and Samson Young met in Hong Kong to discuss the topical concerns, contemporary dynamics and historical constituencies of Hong Kong art in a specially convened roundtable discussion moderated by Dean Chan. Hong Kong’s history as a British colony and its present status as a Special Administrative Region of the People’s Republic of China simultaneously haunt and animate this provocative discussion. Hong Kong’s hybrid ontology characterizes its unique place in the world but also serves as a source of tension vis-à-vis China. Hong Kong art is highlighted as an ongoing site for cultural critique, struggle and resistance, and functions as a situated context to undo anodyne notions of nationalism and fabricate newly limned localized identifications with reflexive transnational imaginings. The transnational mobility of Hong Kong artists today is harnessed as a critical means to focus on the local and the particular. The NYU Global Asia/Pacific Art Exchange was presented to the State Department on November 21, 2013 as a model project of educational exchange in the private sector during the November 2013 US-China Consultation on People to People Exchanges in Washington DC.